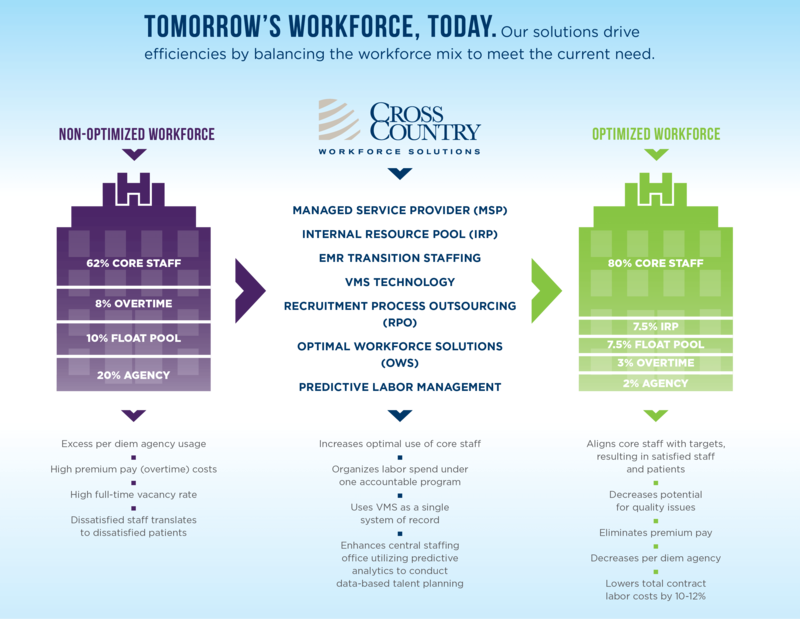 Cross Country Workforce Solutions understands that filling core staff vacancies with temporary clinicians is not always cost-effective or financially possible. 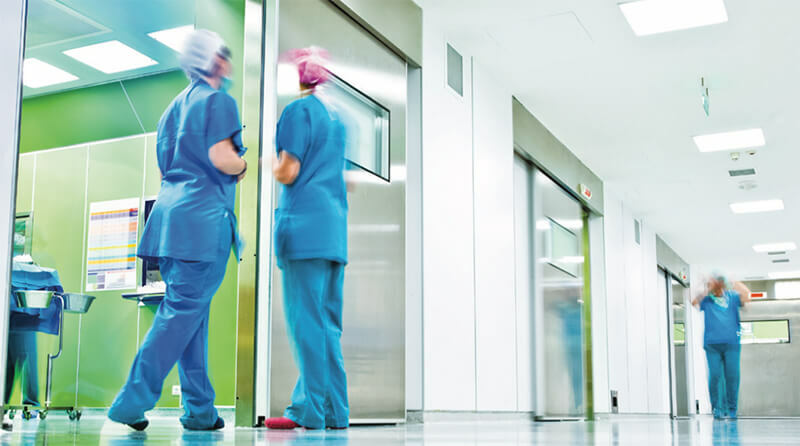 With this knowledge, we offer healthcare facilities and hospitals our Internal Resource Pool (IRP) solution. Our IRP solution allows you to improve coverage while reducing premium labor costs. We can help with the set up and management of a new IRP or optimize an existing IRP. The IRP is typically set up in conjunction with a Central Staffing Office (CSO) and can service one hospital or an entire health system. Development of an IRP ensures that your supplemental staffing needs are first filled by a more affordable IRP staff (usually new employees of the health system) before utilizing more expansive options, such as agency or overtime. As a result, health systems typically reduce their premium labor spend by at least 15-20% through an optimal IRP deployment. In addition, control of IRP staff recruiting and management ensures better staff quality and improved coverage, as well as an opportunity to standardize orientation and other staffing processes across the health system. To learn more about our internal resource pool program and services, call 800.347.2264.